"You know what we call it?" A teaser trailer has debuted online for a film titled Friday's Child, the latest feature from filmmaker A.J. Edwards, who worked for Terrence Malick as his editor before jumping into making his own films. 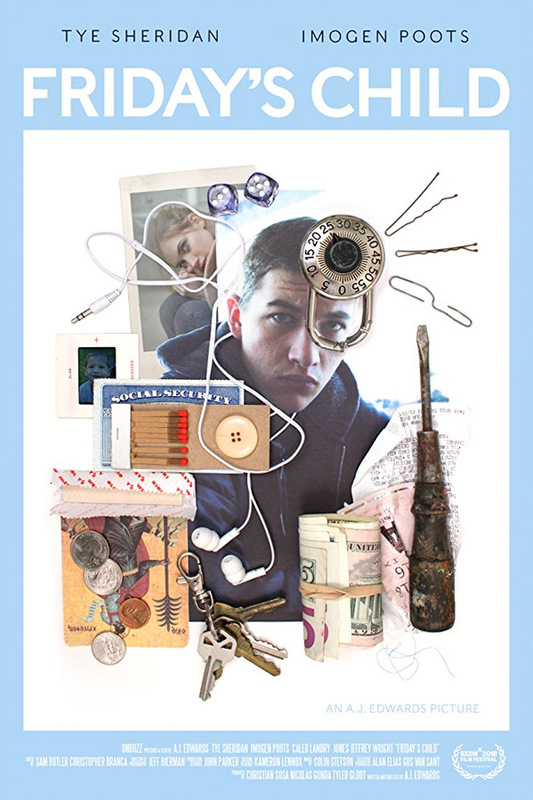 Tye Sheridan stars as young drifter Richie, fresh out of foster care, trying to figure out what to do with himself. He ends up on the streets involved in petty crime and meets two other people: Joan, played by Imogen Poots, and Swim, played by Caleb Landry Jones. The film's cast also includes Jeffrey Wright and Brett Butler. This looks like a very artsy, powerfully intimate film with some very intense cinematography by DP Jeff Bierman. The score in this trailer is superb, and the footage will pull you in - for whatever you may find in here. This is a good palette cleanser from all the recent Hollywood trailers. Fresh out of foster care at age 18, a young drifter named Richie (Tye Sheridan) turns to petty crime to survive, and discovers an impossible love in an unlikely friend. Friday's Child is both written and directed by American filmmaker A.J. Edwards, of only the film The Better Angels previously. Before making his directorial debut, Edwards worked as an editor for Terrence Malick on his films To the Wonder, Knight of Cups, and Song to Song; and he was also a key artistic consultant on The Tree of Life. This first premiered at the SXSW Film Festival earlier this year. It still doesn't have distribution in place yet, so stay tuned for more updates after it plays at more festivals. No release info is available yet. First impression? Interested in this?